Happy Easter, y'all. 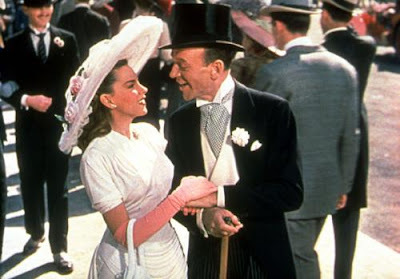 I'd normally post something on "Steel Magnolias" this day, but I'm in the midst of watching "Easter Parade." It's my first time, and it's all very luscious. 1948. Irving Berlin. Judy Garland. Fred Astaire. Peter Lawford. Color, color color. The star who runs away with the best scene is easily Ms. Ann Miller, aka Coco from our fave mindbender, "Mulholland Drive." 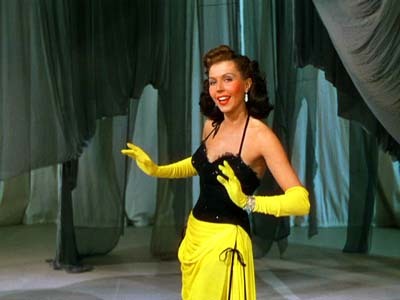 Dolled up like a bumblebee and killing the lightning-quick choreography, Miller intoxicates in an oh-so-watchable tap number. ﻿Please do watch the scene. It just keeps on giving: CLICK HERE.